We Buy Any Car specializes in buying Cadillacs of all ages and in any condition. Whether your Cadillac is a vintage classic, is in like-new condition, or is ready to be hauled away as scrap, we will buy it! It doesn’t matter if your Cadillac has dings, scrapes or scratches, high mileage, or motor, electrical or transmission problems – we want to buy it! 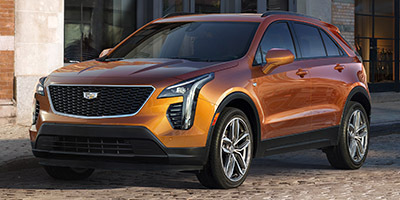 You can expect a fair and honest assessment of your Cadillac’s value, and we will pay competitive prices for extra features and custom paintwork. When you decide to sell your Cadillac to us, you could walk away with a check the same day. Contact us for a fast, hassle free, obligation free valuation of your Cadillac. Our quotes are free of charge, and you can walk away if you don’t like the price we offer – but we think you will love it! There is nothing to lose. Contact us today to find out how much you could sell your Cadillac for. We buy all Cadillac models including the CTS, Escalade, STS, SRX Crossover and the V-Series. Founded in 1902, Cadillac is owned by the General Motors Corporation and has had plenty of practice in manufacturing distinctive and original motor vehicles. Cadillacs are expressive; they make a statement about the driver and are loved by driving enthusiasts worldwide. The reason is Cadillac’s ability to deliver high performance, great handling and manageability, power and efficiency. The Cadillac is the quintessential American-built luxury car, and has been both a reliable mode of transportation and a status symbol for over five generations.